Early last year a new digital company Dexibell appeared on the radar. The promise from the Italian company was to shake up the industry by introducing cutting-edge technology to the mainstream. 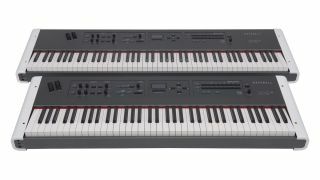 The first product category to receive the Dexibell treatment is the digital piano. But with all digital pianos sounding excellent these days, what can it possibly do which is so revolutionary? The gamechanger was the decision to use a high power, extremely fast CPU - as you’d find in high-end computers. This enabled the creation of the new T2L (True To Life) technology and opened the door to many unique features that were previously impossible on a hardware instrument. The bit depth could be increased from 16-bit to 24-bit, giving a massive 256 times the dynamic response of current instruments. Perhaps the most impressive aspect of T2L, however, is the ability of the fast processor to analyse the player’s actions and, in real time, add noises and nuances using acoustic modelling, which would naturally happen on a real acoustic instrument. For the first time in digital hardware, the player feels in complete control of the sound. Watch the videos below to see VIVO compared to a selection of high-end audio plugins. For more VIVO information visit the Dexibell website.